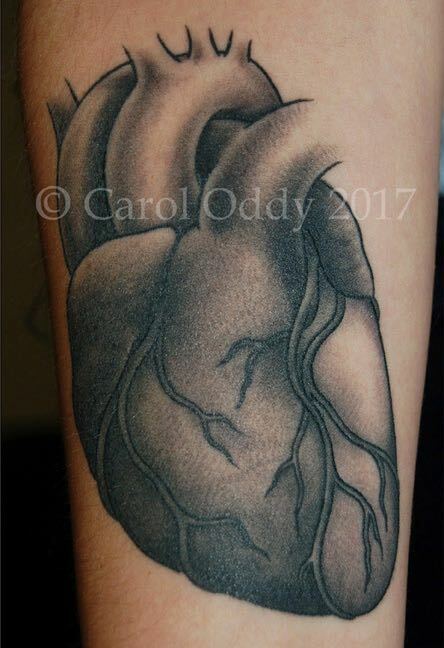 Carol Oddy was born in Durham, England. 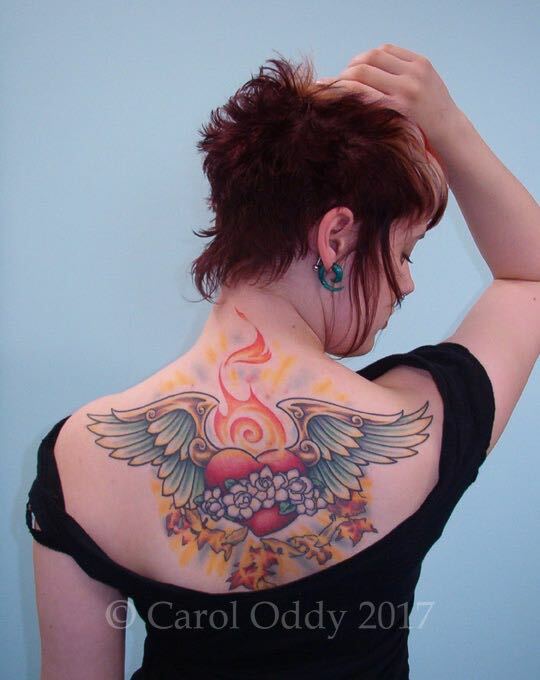 She moved to the United States in high school and went on to get her BFA in Illustration from Syracuse University. 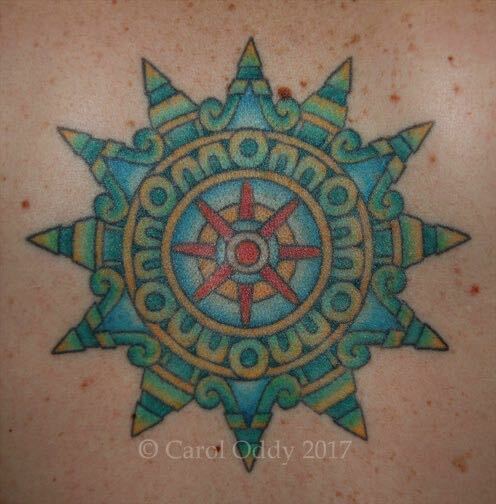 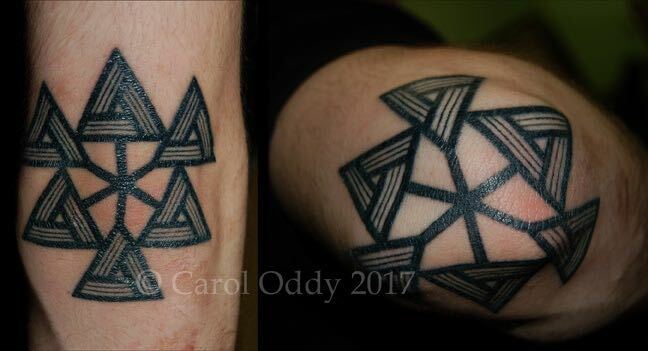 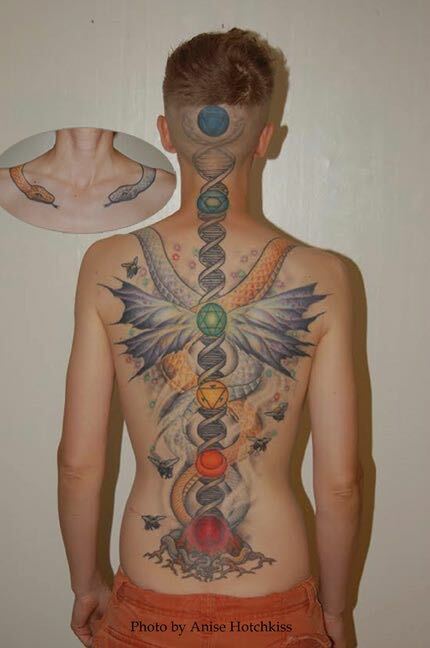 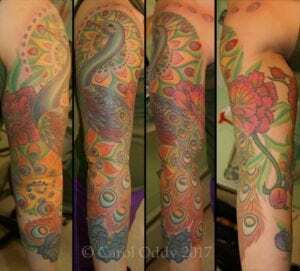 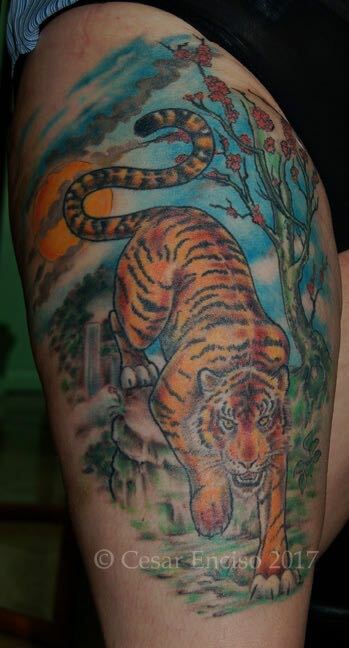 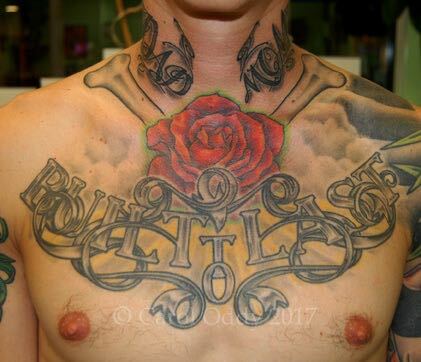 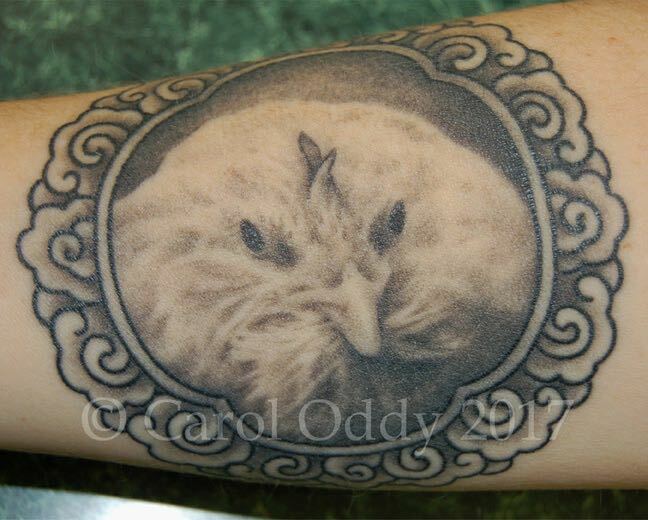 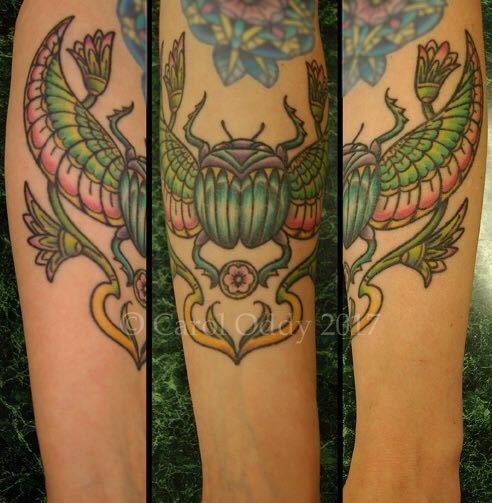 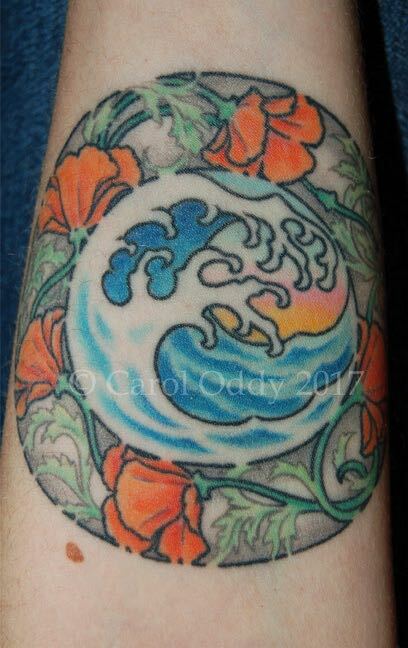 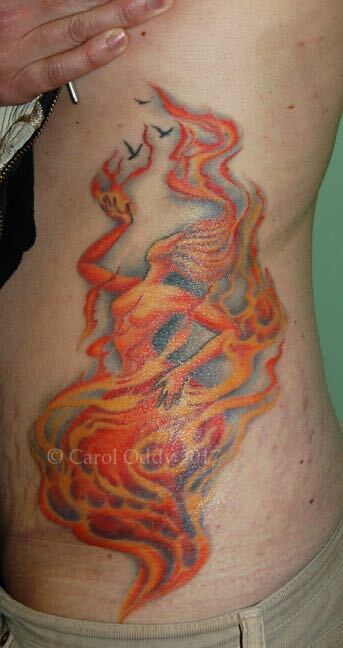 After she graduated, Carol ended up in Madison, WI, and in 1993 began her tattoo apprenticeship at Steve’s Tattoo. 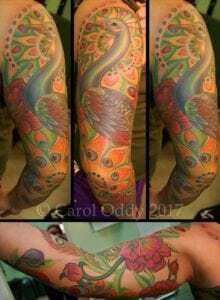 After working there for eight years, she felt the need to push her art in a different direction, and in 2002 she and Cesar Enciso opened Medusa Tattoo Studio in Ithaca, NY. 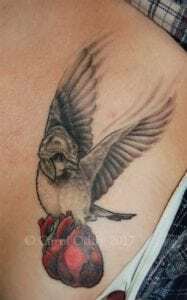 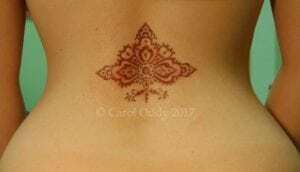 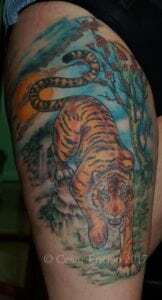 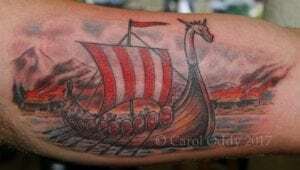 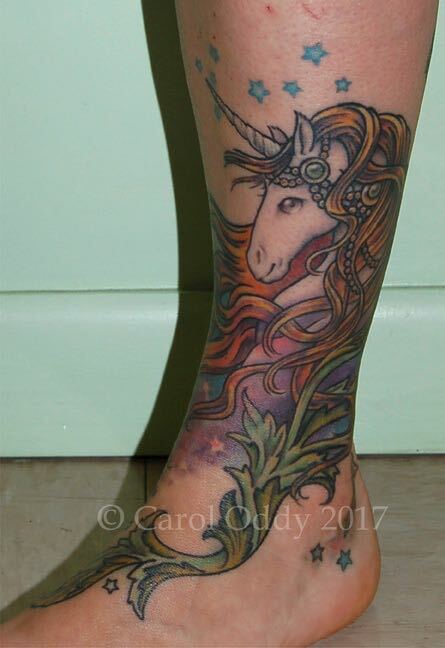 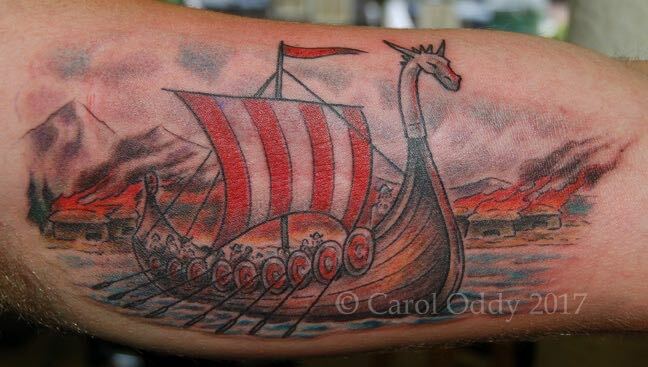 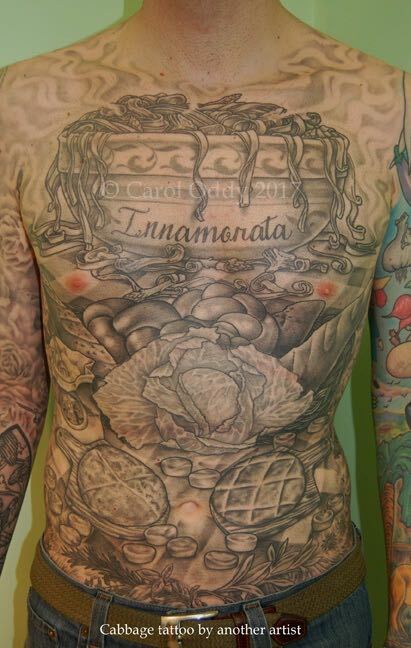 Although her tattooing has evolved considerably in the 23 years that she has been practicing the art, Carol’s work retains a meticulous illustrative quality. Her approach uses the natural shapes and contours of the human body as an integral component of the work, and both her large scale and smaller pieces reflect this. She enjoys working in both full color and black and grey, since both offer their own rewards and challenges, as well as the satisfaction of bringing her customers’ dreams to life.